Quinceañera (lit. 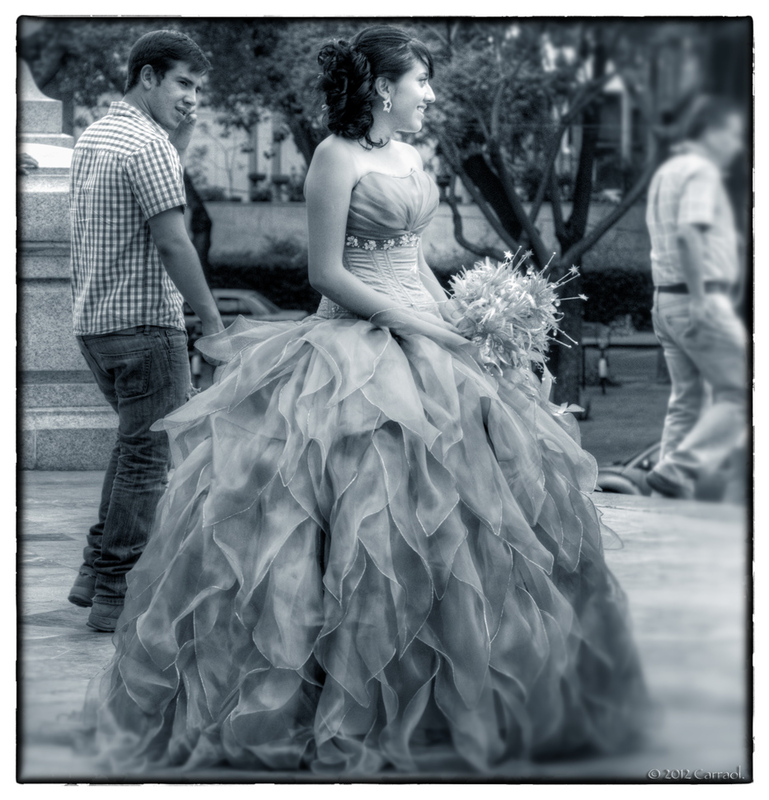 meaning One (f.) who is fifteen), sometimes called "Fiesta de quince años", "Fiesta de Quinceañera", "Quince años" or simply "quince", is the celebration of a girl's fifteenth birthday in parts of Latin America and elsewhere in communities of people from Latin America. This birthday is celebrated differently from any other birthday, as it marks the transition from childhood to young womanhood. The celebration, however, varies significantly across countries, with celebrations in some countries taking on, for example, more religious overtones than in others. Wow - that is some dress for this special day! Beautiful image Carraol, I see someone is appreciating her sweetness! It seems so young. That is a very special dress for a memorable event. She must have felt so beautiful in it. Fantastic capture!